Festive and wintery, this meal pairs lean ingredients with decadent flavors, great for eating a little lighter over the holiday season without having to skip out on eating the cozy foods you crave. 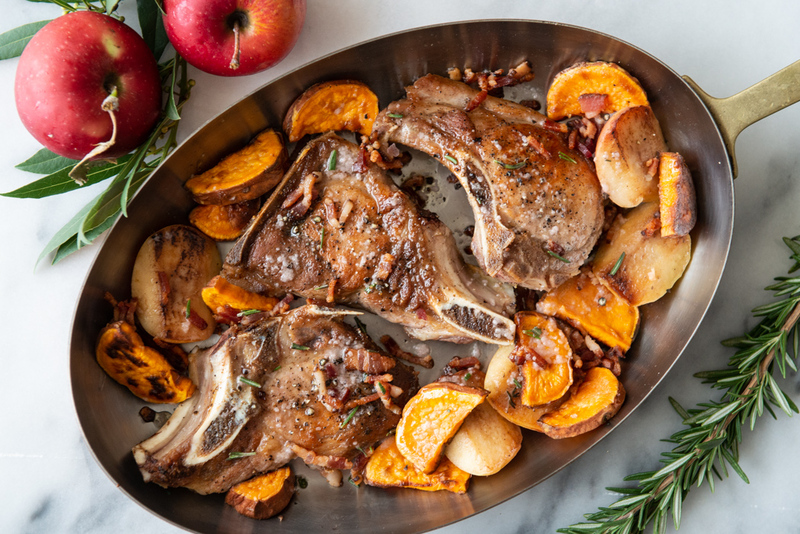 Boneless pork chops are pan seared along with apples, fennel, and sweet potato, all finished with a bacon vinaigrette. 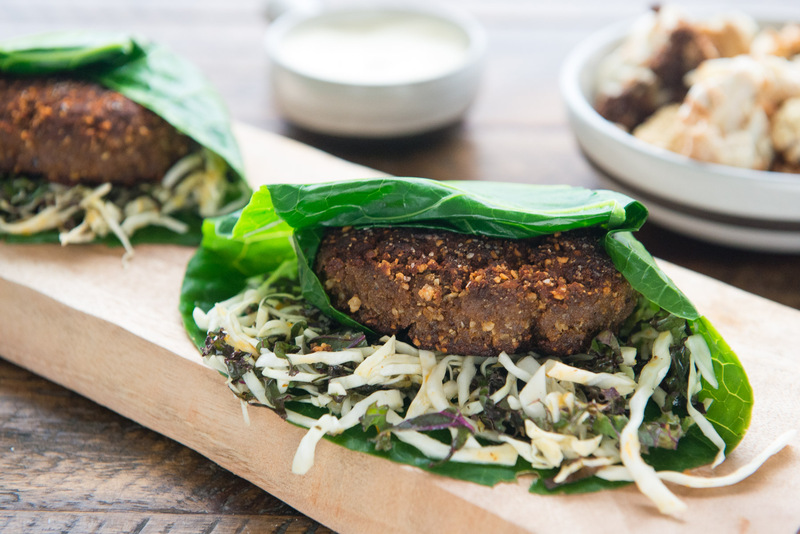 Augustus Ranch ground beef is seasoned with Chef’s special smoky BBQ Seasoning Blend, wrapped in collard greens, and served with lemon aioli, cabbage slaw, and a side of roasted broccoli. Bone-in chicken thighs are roasted in a Chef-prepared lemon-herb sauce, which means minimal fuss and maximum flavor. 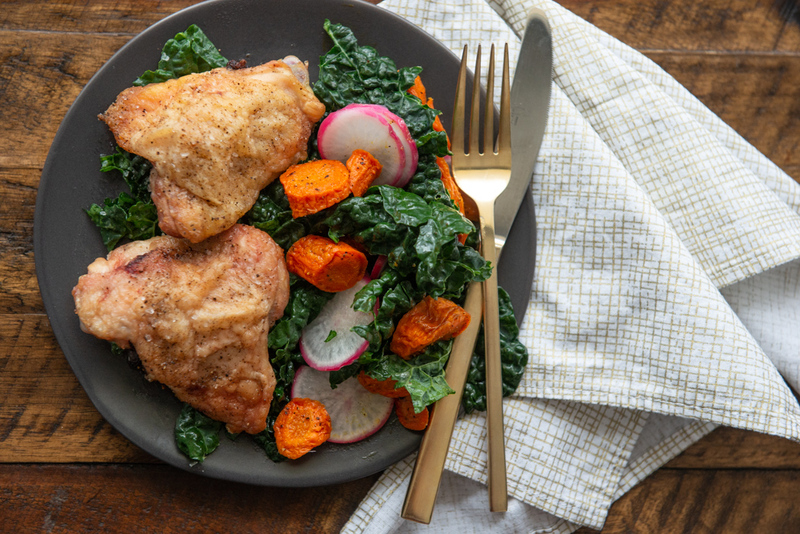 A massaged kale salad is served on the side, tossed in house-made Cesar dressing and topped with radish and carrots. Is there anything more cozy that a big bowl of saucy pasta? 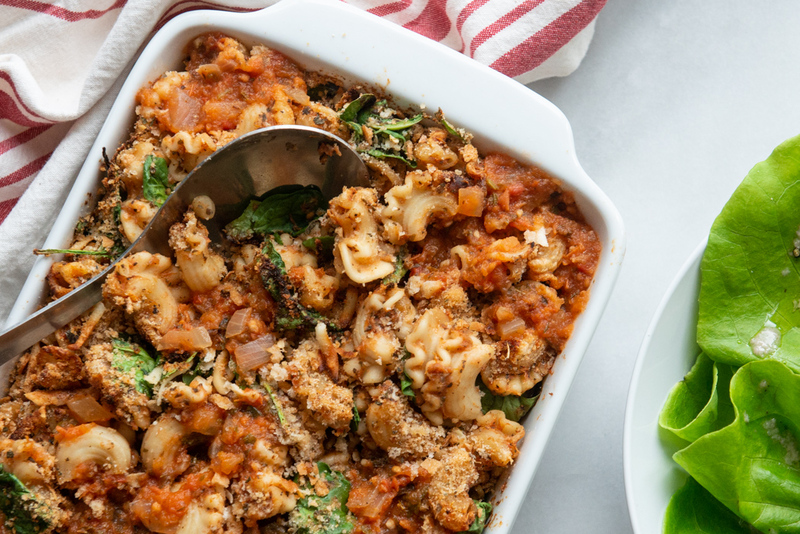 Baked ziti earned its ‘classic’ status for good reason: Della Casa Pasta macaroni noodles and marinara sauce come together with fresh basil and a cheesy breadcrumb topping, baked til toasty and golden brown on top. Served with a light lettuce salad with red wine vinaigrette.